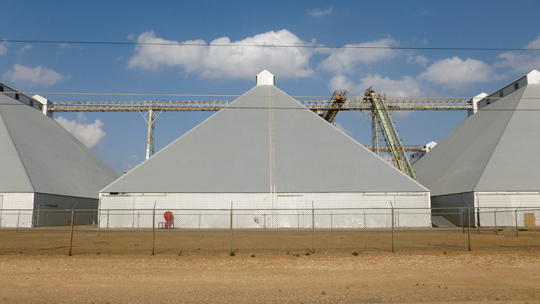 Unintentionally much time has passed since my last post so I felt it necessary this subject be of monumental proportions from observations on West Texas Cotton Sheds. 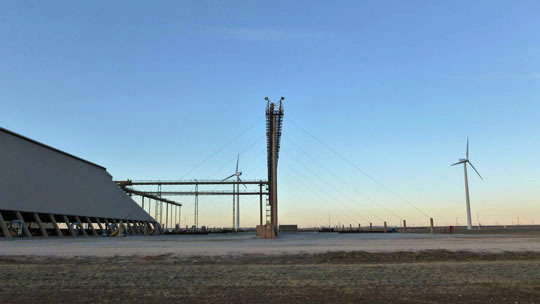 These engineered giants elegantly mark East Lubbock’s landscape at a scale far greater than the single story residential houses or sprawl commercial shops that make up most of this city. Assembled from steel frame trusses and sheet metal cladding, these ancient archetypal forms tower roughly five stories high, with a roof shape based on cotton hull’s angle of repose. The entire building footprint is free of columns or walls to accommodate the storage of shells and seeds after harvesting the fields. Necessary circulation space exists between each shed as it sits in close proximity to the next staging an impressive rhythm of positive and negative forms. Some of these sheds are not volumetric at all only skeletal, implying a shape that will grow with the arrival of cotton seeds. 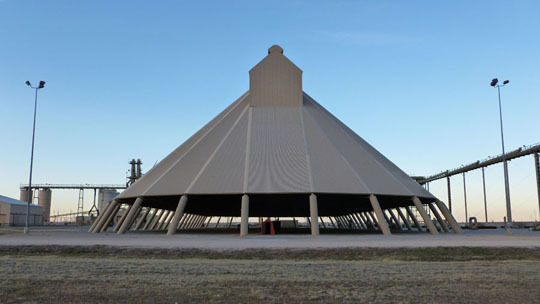 It is the arid climate of this region and an air tunnel at the base of the cotton seed pile that allows it to be successfully stored outside. With the changing light these industrial monuments introduce a beautiful pallet of subtle colors. *Cotten sheds at Ave. A x 34th and 50th, PYCO Industries.